A product with high technical content based fundamentally on the combination of a breathing membrane, jacquard and woven textiles. An adhesive layer is first extruded and then applied to the back of the textile and coupled to a breathing membrane. The textile and membrane sandwich thus made up is then welded permanently to become a single product. All this in order to create a waterproof textile that is washable up to 95° C but which has features of softness and feel that are typical of the textile. Being well aware of its vocation, we seek in this way to avoid the forming of humidity inside the mattress and subsequent developing of bacteria, fungi and bad odours to a maximum. 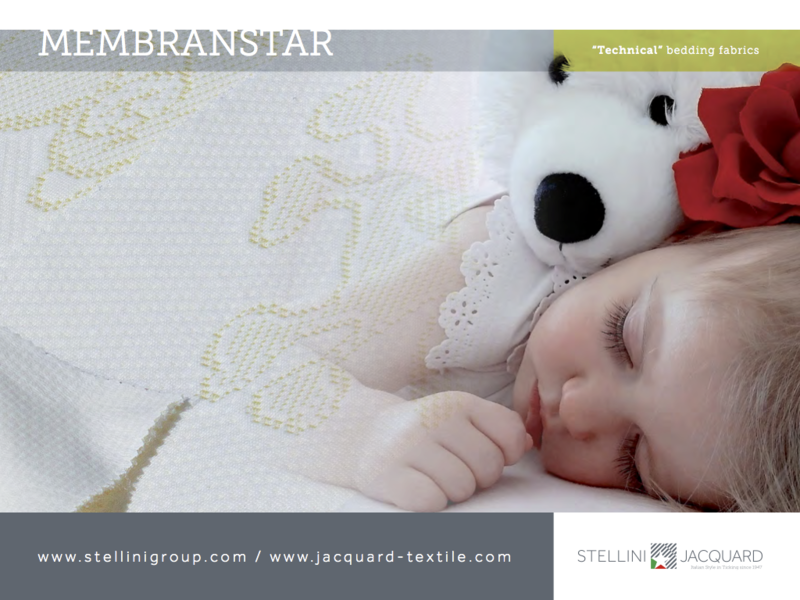 MenbranStar is also available in fire retardant version to be used in, truly, any bedding sector.